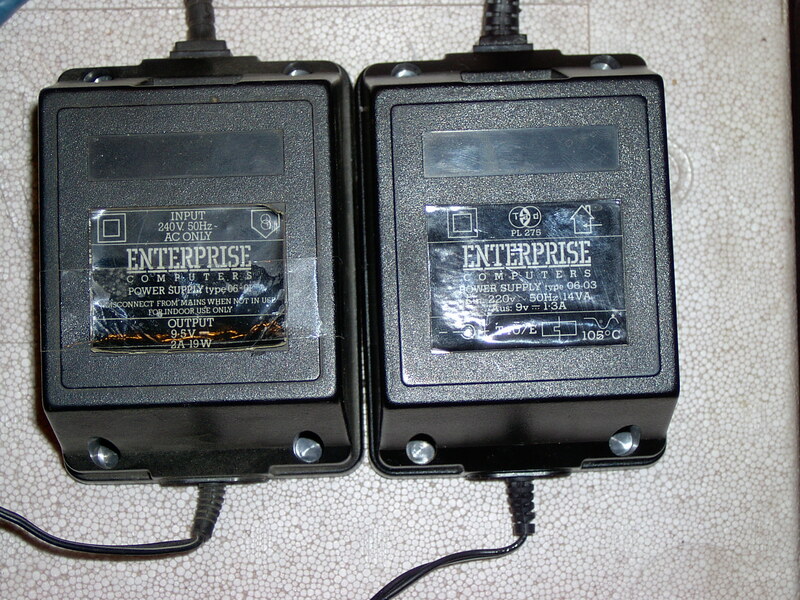 I have Enterprise 64 without power supply. Please, provide me Enterprise 64 power supply tech specifications. Schematics of the power supply circuits From right of the Power Jack is machine inside. Photos of original power supplys. you can read the datas. If you not have 9V power supply, it is easy to use PC/AT power supply, but DON'T!!! connect directly the 12V to the EP! Use 7809 regulator IC-s to make 9V from the 12V. I see your homepage. Do you also have ZX Spectrum? The ZX Spectrum 48K power supply are compatible with the Enterprise power supply.